In the recent times, cloud based systems are making a leap from theory to practice at airports – especially Tier II airports. Let’s elaborate. Its 9:32 AM at a foggy Ramgarh Airport in January. Display boards show flight delays or cancellations due to bad weather. And there are almost 700 passengers at the airport. Ideally, this would be a critical management problem for the airport staff at the airport. But amazingly, everything’s is pretty orderly and quiet. At this remote airport, people are updated the status of their flights; queues are not huge thanks to common kiosks, baggage is handled efficiently and there is enough food available in the small shops that usually cater to about 300 passengers due to what we call as ‘Common Use Systems’ and data analytics. The benefits of common use at airports are well-documented; it allows any airline to check-in and board passengers from any location and enables them to deliver an unswerving level of customer service. 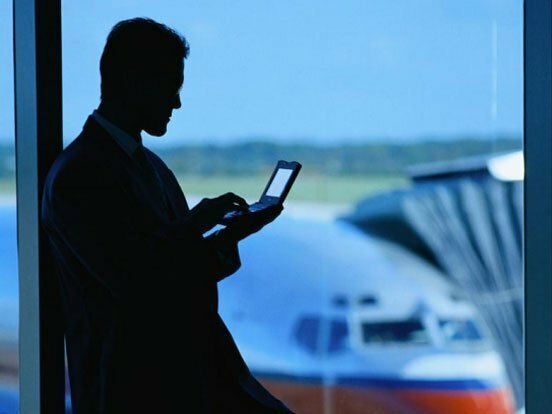 Moving common use airport systems to the cloud where the data is stored remotely enables airports, airlines and ground handlers to focus on their business of serving travellers and allows them location flexibility. It makes passenger processing more efficient than ever before. In the past, the airport sector has generally been sluggish to adopt server-intensive IT operations at the high cost of infrastructure, laden with finding right people to manage the complex. And in India, airport-IT was location-centric despite the fact that most airports use similar technologies and integrations. Cloud common-use solutions have changed that. More cloud based common-use management are finding their way to Tier II and Tier III airports, which provides the same technology that larger airports use, but with the flexibility and cost structure mid-sized and smaller airports require. It’s a connected world. Globally, “smart cities”, “smart machines” infrastructure is growing. India too has 100 smart cities planned, along with plans to develop 200 low cost airports in tier 2 and tier 3 cities. Which means – more connected travellers and connected destinations like Ramgarh. This is where cloud-based systems for common-use infrastructure and data analytics help. Switching to cloud ensures lower costs for airports with its economies of scale, reduced onsite IT infrastructure, significant energy savings with the switch to thin clients and an enhanced customer experience. And airports are rolling out a number of cloud-based innovations in its customer-facing environments, from baggage drop-off and check-in to security and immigration services. How’s the impact helping airports beyond the standardization of systems? Well, the tables have turned and how! Businesses are now looking at cloud based systems as IT and revenue optimizations. Amadeus among others recently predicted that by 2020, 80 percent of airports will be moving to cloud services. Managing an airport is akin to managing a mini-city and people needs is at the top priority or in this case passenger experience. The mobility and convenience offered by the cloud gives travellers more freedom and time at the airport to explore new areas such as retail. By outsourcing IT to the cloud enables the airports to upgrade to the latest technology without requiring large capital investments. The resultant cost savings can be utilized to provide an enhanced travel experience to the passenger. For retail this opens up opportunities to mine his information for personalized offers, take retail to a whole new dimension. Gatwick Airport has recently started using cloud technology to develop kiosks that will cut the time passengers spend dropping off a bag to just 45 seconds. Madeira airport has replaced 45 servers on-site with eight in the cloud, reducing its IT energy consumption by 85 percent. The one area that cloud would be affecting airports in the future is their retail operations. Retail has moved on today from being just a part of the fabric of the ‘airport experience’ to an important revenue channel. This would allow all departments to have real-time access to the system, no matter where they are. Everyone can, hence, see the same information and act accordingly on it. At the end of the day, the biggest perception change is because airports are no longer a stopover, but potentially of become a destination. Meaning from check-in to boarding, shopping to sharing, working to relaxing, to finally taking off – the airport journey is a big part of customer experience. And cloud is opening up avenues to maximize a customer’s experience.